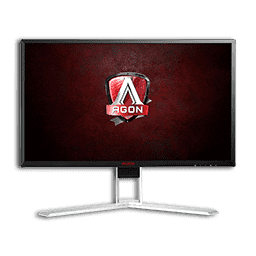 Anyone looking to buy a high-end 1440p gaming monitor won't be able to skip the AOC AGON AG271QG even though it was originally launched last year. It's a 27" display equipped with an AHVA panel with a refresh rate that can be overclocked from 144 Hz all the way up to 165 Hz. To make the gaming experience as good as it can possibly be, the AOC AGON AG271QG also has a built-in Nvidia G-Sync module. In terms of specifications, it's actually quite similar to the Acer Predator XB271HU I reviewed a couple of weeks ago, though it uses a slightly different panel, one Acer used on the Predator XB270HU - a predecessor to the aforementioned Predator XB271HU. Considering the performance capabilities of current-generation graphics cards, a 27" monitor with a resolution of 2560x1440 pixels and a 144 Hz (or faster) IPS panel that uses G-Sync or FreeSync to make the gameplay superbly smooth can be considered somewhat of an optimum. The resolution is high enough for the picture to look sharp and crisp and a high-end graphics card, such as the GTX 1080/1080 Ti or Radeon RX Vega 64, will allow you to crank the details up to High or Ultra and still get 100+ FPS, which is essential when it comes to making complete use of the high refresh rate. Should you not be sure on how they correlate, I urge you to check out the introduction of my Predator XB271HU review, where I went over everything that needs to be taken into consideration before purchasing a high-refresh-rate monitor. Should you aim to do so? Indeed, you should! 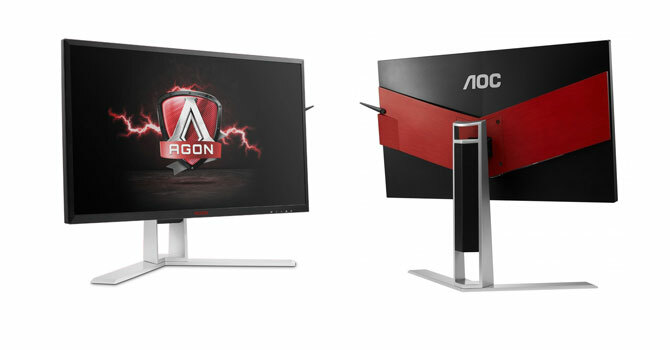 I'll repeat the conclusion of that introduction as the AOC AGON AG271QG only solidified my previous stance: going from a 60 Hz monitor to a 144 Hz one is, in my opinion, the biggest, most dramatic upgrade to the overall gaming experience one can make. There's no going back to gaming at standard refresh rates once you get a taste of the buttery smoothness of your crosshair, as well as the action itself. The AOC AGON AG271QG offers everything you might expect from a high-end 1440p gaming monitor except HDR. Why should you consider it over the Acer Predator XB271HU or Asus ROG Swift PG279Q? Because it costs less. In fact, even though its standard price is $755/€694/£660, certain Amazon sellers offer it for as low as $570. Either way, it's currently one of the least expensive 27" IPS 144 Hz G-Sync monitors on the market. There's also the seemingly identical version of this exact monitor, only with FreeSync support instead of G-Sync, the AOC AGON AG271QX, going by the price of $450. Do keep in mind, though, that it uses a TN panel instead of the technologically superior AHVA. Before we dive into the review, I'd like to point out that the AHVA panels aren't to be confused with VA panels. AHVA (Advanced Hyper Viewing Angle) is simply what AU Optronics calls its IPS-type panels, whose pixels use in-plane switching (hence IPS) to display the picture. VA (Vertical Alignment) panels are based on a different technology altogether and come with their own set of strengths and weaknesses. In short, when you see "AHVA", simply think "IPS".